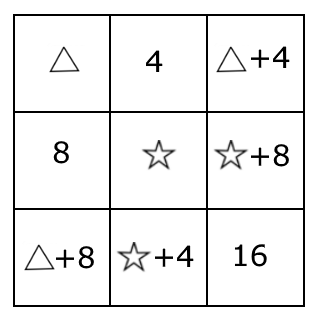 In each row of the table, the third cell contains the sum of the contents of the first two cells. In each column of the table, the third cell contains the sum of the contents of the first two cells. What total would you get if you added up the contents of all nine cells?